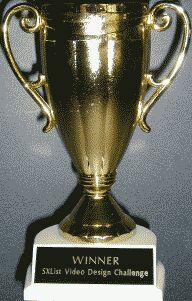 Spring 2003: CLOSED Three way winner contest One entire winner per month. 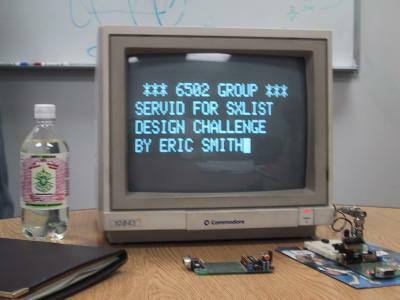 Spring 2002: CLOSED SX STARTER CONTEST - Interested in getting started in embedded internet development? Learn the software and win all the development hardware you need to actually develop and implement your design! Lots of winners. Winter 2000-2001: SX VIDEO VIRTUAL PERIPHERAL - WINNERS! 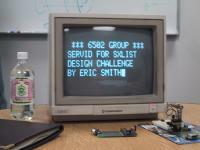 Eric Smith and Richard Ottosen's SERVID entry clearly meets the contest requirements and bests any PIC design I've seen. It's an intellegent RS232 video terminal (4x20 character display) in one chip.